Edmund W. Cheng (PhD, LSE) is an assistant professor at Department of Government and International Studies at Hong Kong Baptist University and is a fellow of the Institute of Future Cities at the Chinese University of Hong Kong. His research interests include political regimes, contentious politics, political trust and grassroots governance in China, Hong Kong and Malaysia. 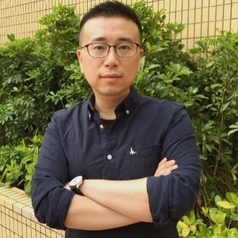 His recent publications include edited volumes An Epoch of Social Movements (Chinese University Press, 2018) and The Umbrella Movement: Civil Resistance and Contentious Space in Hong Kong (Amsterdam University Press, 2018), and articles in China Quarterly, Political Studies and Social Movement Studies. His article "Street Politics in a Hybrid Regime" won the 2016 Gordon White Prize for the most original article published in The China Quarterly. He is a council member of PEN Hong Kong (2016-) and the principal investigator of World Values Survey Wave 7 in Hong Kong (2016-). He also writes about arts and politics for China File, The Diplomat, Ming Pao and Initium.